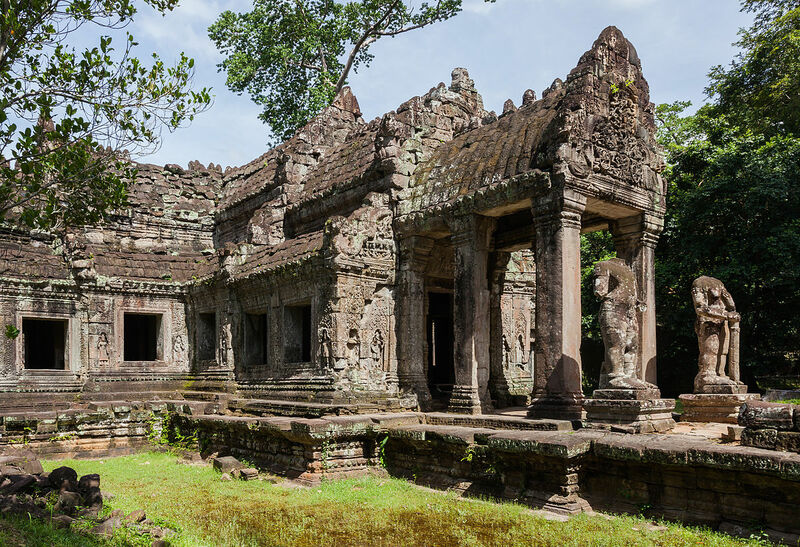 Preah Khan is a temple at Angkor, Cambodia, built in the 12th century for King Jayavarman VII to honor his father. It is located northeast of Angkor Thom and just west of the Jayatataka baray, with which it was associated. It was the centre of a substantial organisation, with almost 100,000 officials and servants. The temple is flat in design, with a basic plan of successive rectangular galleries around a Buddhist sanctuary complicated by Hindu satellite temples and numerous later additions. 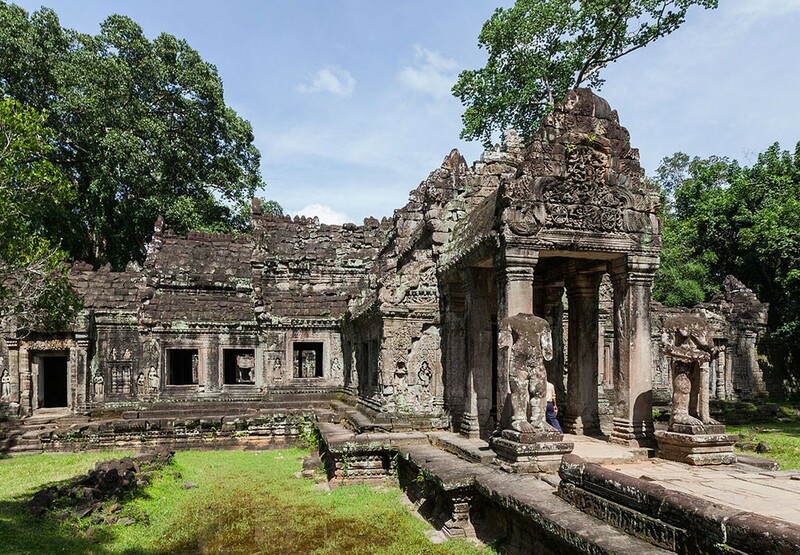 Like the nearby Ta Prohm, Preah Khan has been left largely unrestored, with numerous trees and other vegetation growing among the ruins.